As the Summer winds down we're are heading into the brisk days of Fall, depending on where you reside. Anyway, its this time of year you almost expect something new coming down the pipe from Apple which usually winds up being their next generation handheld device, the iPhone. Bloomberg is reporting that Apple is set to launch three new devices. If Apple sticks to the usual script, we could see them be unveiled sometime in mid-September. Bloomberg's Mark Gurman and Debby Wu seemingly have close ties to those inside Apple as they're reporting the company will brand their devices as being the S-models. More than likely you'll have incremental upgrades to the hardware, no drastic changes to the overall design. Sadly as reported, you will still have a $1,000 iPhone. Without dragging this written post into baseless chatter, here are specific things expected to come from Apple in coming weeks, according to Bloomberg rumors. The iPhone X will be an upgraded 5.8-inch OLED screen; the top tier iPhone will have a massive 6.5-inch OLED display, which could be their biggest smartphone to date. Apple will also introduce a new but cheaper variant which will resemble the current gen iPhone X, the screen itself will measure in at 6.1-inch, it won't be OLED; instead, it will be LCD. The two larger variants will have dual-SIM card slots position in the same location. Names of Apple's three newest handheld devices is expected to be the "iPhone Xs, and for the larger screen devices "the iPhone Xs Plus." These names, of course, are subject to change once Apple gives their keynote address. 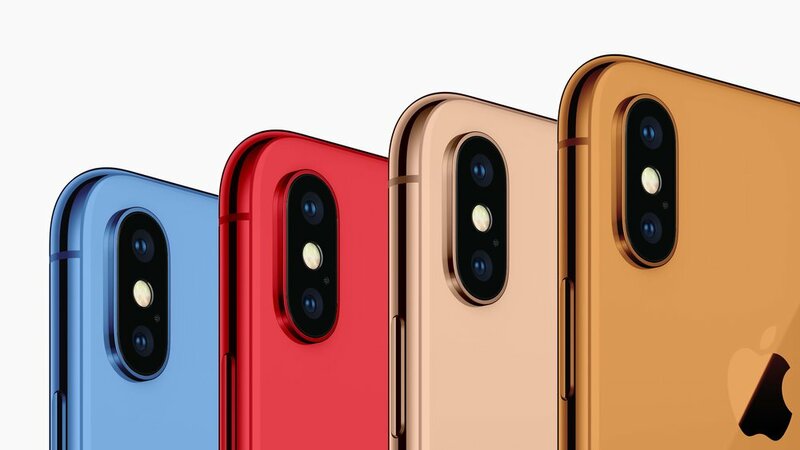 According to rumors, the 6.1-inch iPhone will come in various color schemes, such as gray, white, blue, red, and even orange. Along the edges its expected to be aligned with UN-colored aluminum instead of the colored-matching stainless steel casing as seen on the current iPhone X. New gesture controls will apply to all three devices, Apple's face-unlocking feature on the iPhone X will have expected changes. The much larger 6.5-inch display will give users access to massive screen real-estate, giving you the ability "view content side-by-side" imagine how apps such as Calendar will look on the upcoming iPhone. The iPhone is not the only thing that will get an update. Bloomberg also reported there will be an update to the AirPods, the Apple Watch will get a much bigger display along with a new wireless charger. The iPad Pros will get a significant upgrade to the design that will include a much slimmer bezel, and it could finally have Face ID which replaces the fingerprint-sensing home button. Remember, these are all just speculative rumors reported by a valuable news source. Whether or not Apple stays on Que with their schedule iPhone announcement remains to be seen. Stay tuned.